My first daffodil this year. 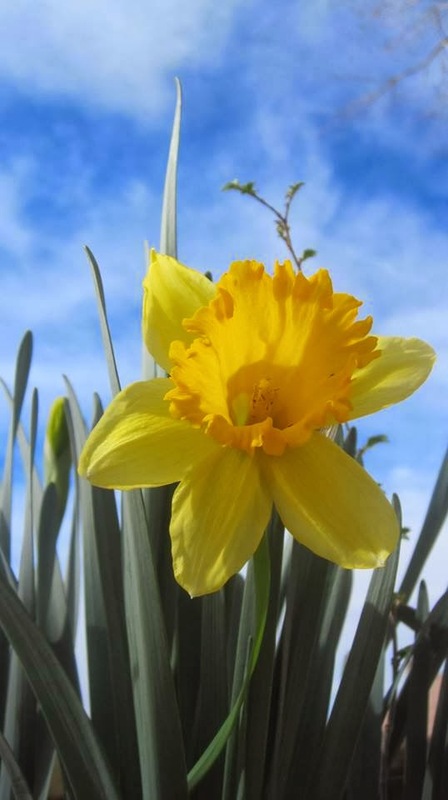 Daffodils are starting to blossom in my part of the world, and always remind me of Wordsworth's famous poem, 'Daffodils,' also called, 'I Wandered Lonely As A Cloud.' It is the narrative of an introspective poet taking a countryside hike and as he walks over a slight hill, encounters the serendipity of thousands of daffodils. Vincent illustrates a similar encounter with a couple. 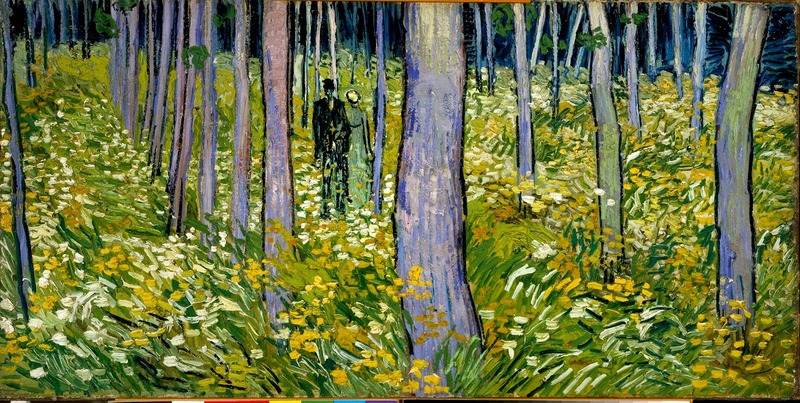 Love the warmth of Van Gogh. Check out the excellent resource that is the Poetry Foundation-- and maybe introduce a 'Poem of the Week,' which is the quickest way to get to the top Bloom's Taxonomy.